Designer stainless steel fire extinguisher stand for mounting 2kg CO2 extinguisher that is ideal for modern offices or any environment where presentation is key. 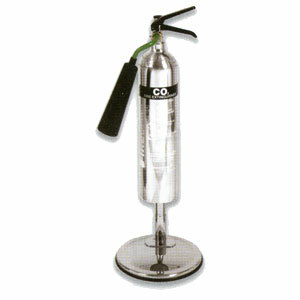 Comes with multiple bracket kit in order to fit all types of extinguisher. Perfect in conjunction with chrome fire extinguishers for real added effect.